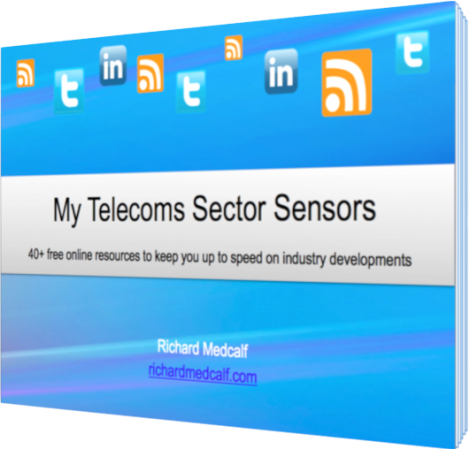 How do you stay up-to-date on the telecoms sector? 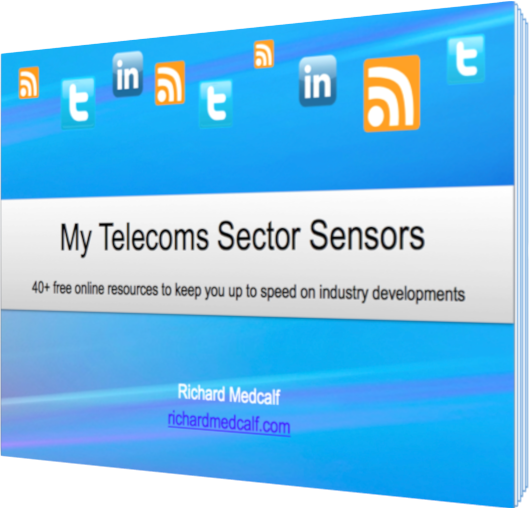 One answer is to access the 40+ free online resources in my new free eBook! 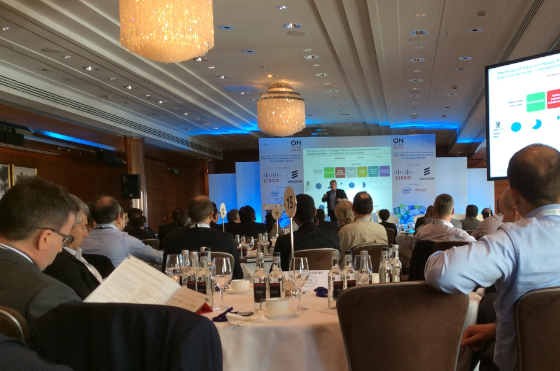 Last week I attended the 9th Annual ‘OnFuture EMEA’ Executive Brainstorm & Innovation Forum (formerly ‘New Digital Economics EMEA’) in London, organised by the impressive telecoms analyst and consulting outfit STL Partners / Telco 2.0. Telco 2.0 conferences have a good reputation, and I have enjoyed them in the past, so I thought I would post my impressions and takeaways from the discussions this year. Day 1 focused on major cross-industry disruptions, innovations and strategic themes. Day 2 focused on how to build disruptive competitive advantage through mobile marketing and commerce. Cisco’s industry-reference Visual Networking Index (VNI) report came out this week. How have expectations for Internet traffic growth evolved since last year? Here are 3 key changes since 2013 to take away. More next week! How would you make the case for fundamental change in the telecoms sector? 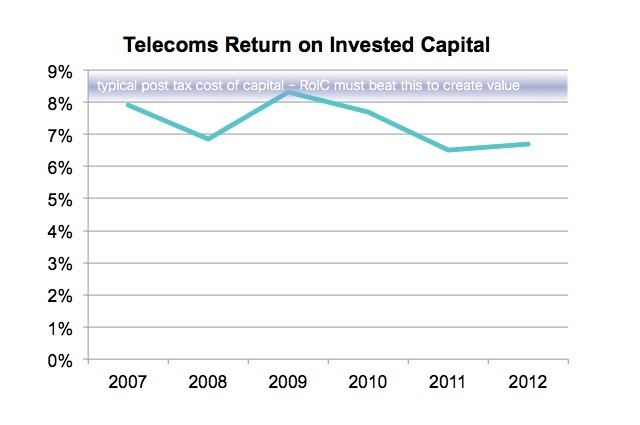 One thing that is going to get your telecoms executive to sit up is (hopefully) the numbers. So before diving in to think about the future of telecoms, let’s start there, with a (very) brief look at telecom financials – is the sector making good money? The short answer is: no. Whilst of course there are exceptions, the industry as a whole is under-performing. 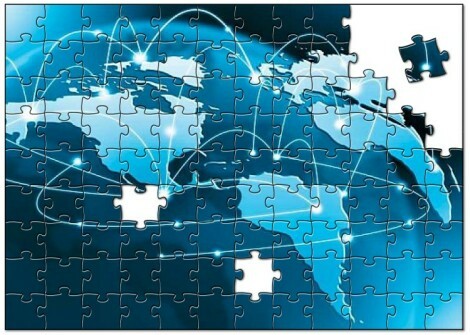 A 2013 report from PwC concluded that the European telecoms sector has not covered its cost of capital in years, which means that it is destroying, rather than creating, economic value. The chart below – adapted from the report – illustrates this well. A unified theory for the future of telecoms? 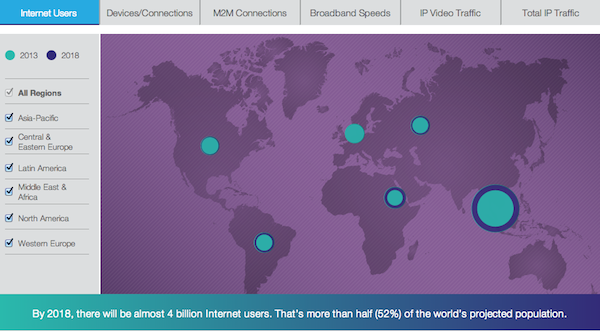 What is the mental map you have of the telecoms sector? What is the lens you use to understand industry goings-on? How will the future of telecoms unfold?